Justin is an accredited Australian tennis instructor. He is a highly experienced coach that has worked throughout Australia, Asia and the Middle East. He has spent the past 12 years coaching, managing and developing a number of academies and clubs in different countries including the prestigious Clark Hatch and Xijiao Sports centers in Shanghai, China and the Mission hills country club among others. 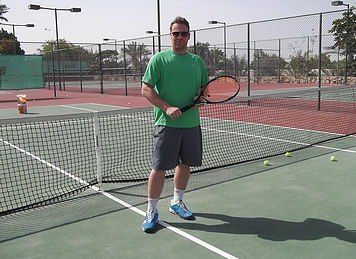 Justin has an extensive knowledge of all forms of tennis training ranging from beginners coaching to advanced tournament level players as well as a number of years experience intstucting cardio tennis sessions. He also has an established playing background learning his trade on the junior circuit in Australia representing his local club and high school, then moving on to captain his university tennis team while playing A grade competitions in both singles and doubles throughout Australia for over 5 years. Qualifications: TCA, PTR, ATPCA, CARDIO TENNIS, WHEELCHAIR CERTIFIED. He has been coaching in Singapore for the last ten years at various locations throughout the city such as, the Shangri-la Hotel Singapore, British Club Singapore, Clay Court Tennis Academy, International Schools and many condos. In addition to this, Liam has extensive experience in tennis preschool tennis programs across SEA and Australia. Liam has a big passion for the latest techniques and strategies of tennis, and is constantly updating his tennis qualifications and continuously subscribes to the latest coaching methods and is always expanding his knowledge of tennis resources and methods. 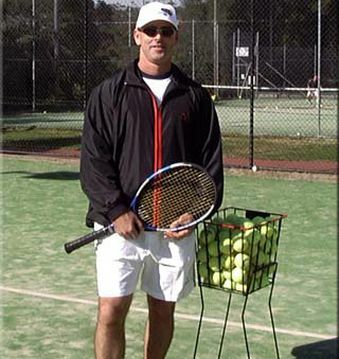 Steve is an experienced Australian tennis coach that has played professional tennis througout Australia and southeast asia for over 5 years. He brings a wealth of knowledge and experience from his coaching career he holds coaching certifications from Australia and the U.S.A. He has recently come to Singapore after coaching in Perth, Australia at a number of different inner suburbs tennis clubs. His mission is to help everyone he coaches be the best they can be and achieve their tennis goals. Steve is enthusiastic and passionate about the game. He gets to know his clients quickly and tailors technical, tactical, physical and mental skills coaching to each of his clients needs for constant improvement. Steve speciality is to use game based lessons where juniors improve quickly through playing in a fun learning environment.